Backhoe, Dozer and Rigging titles are sent unless you PICK ANY 3 TIPS from the Pros series titles (specify titles in notes upon checkout). 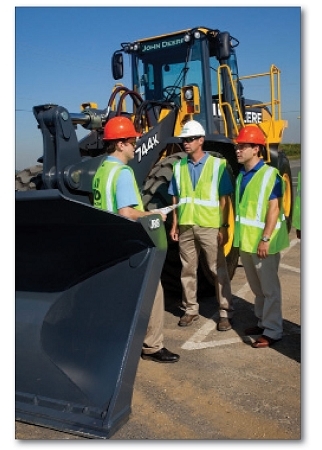 Knowledge gained by experienced equipment operators is now available on video. Productivity, technique and getting more out of the equipment is the focus. Each of these videos disseminates operating tips and techniques used by experienced professional operators. TIPS are based on research with qualified operators from a broad range of backgrounds and experiences.With a focus on increased productivity, TIPS: programs are the next level of training for the operator with some experience. Consider these videos Volume II to your VISTA safety video library.